Millennium Conquest Limited Release in the Philippines! GTarcade is excited to announce Millennium Conquest, a new free to play onlinesimulationwar game for mobile. 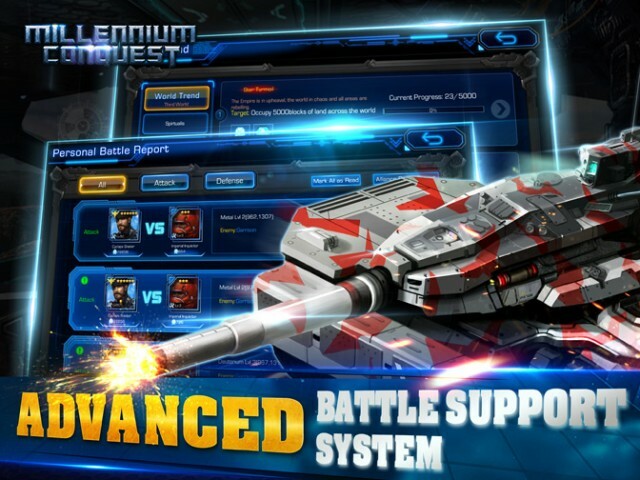 Based in a rich science fiction universe, Millennium Conquest is an MMO strategy that allows players to wage their own galactic war in a persistent online world. In the distant future, over population has depleted nearly all of Earth’s natural resources. War engulfs the entire planet as Factions fight over what little remains, and the endless conflicts render most of the land unsuitable for living. At this time, a habitable planet called Gaia is discovered and all eyes become fixed on this new world. Gaia is too small to hold the population of Earth, but it is the last hope for humanity. Now, powerful Factions converge on Gaia to clash for control of the planet. In this time of turmoil, only the bold will prevail. Millennium Conquest is amassively multiplayer onlinestrategy game;In Millennium Conquest,youtake on the role of a Supreme Commanderand canrecruit from hundreds ofunique Commandersto lead huge armies into battle. Expand andwage waracross 13Sectors made up of millions of combat grids. Build and customizeyour bases and armies according to your playstyle. Remember,strategy is the coreofMillennium Conquest. The game’sdiverse gameplay optionsandreal-time tactical warfareprovide thehighest levels of strategic game play on mobile. Resourcesare limitedand you’ll needto strategicallyconstructcities and bases to support your civilian and military population. Use the game’srobust progression systemtotrain and upgrade your Commanders andtroops and create a force to be reckoned with.Developa wide variety of strategies and battle tactics to crush your rivals and expand your territory. Play in a huge persistent online world andjoin Alliances with hundreds of other players.Manage your combined Allied forces in real-time cooperative gameplay and engage in massive on-going PvP conflicts. In such chaotic times, you’ll need all the friends you can get. Embrace the next generation of mobile strategy games with Millennium Conquest! Download and play now and enjoy free gifts to kick-start yourgalactic saga from the below link.